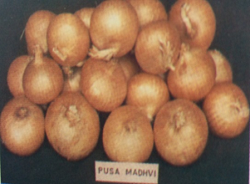 Bulbs of this variety are compact, flat globe and dark red in colour. 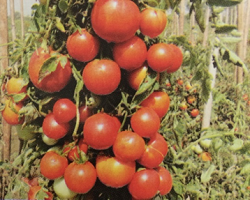 Released in 2013 by SVRC, Delhi for cultivation in Delhi & NCR. 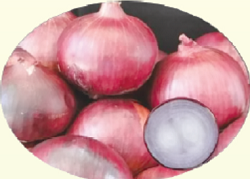 Average equatorial diameter of bulbs ranges from 4.8-6.3 cm and single bulb weight ranges from 70.0-100.0 g.
It is pungent and rich in antioxidant (quercetin 107.42mg/100g). 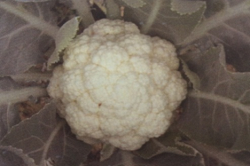 This variety is also suitable for storage and export. Average yield is 32.0 t/ha. It is a selection from indigenous material. Bulbs are medium to large, roundish flat, light red. 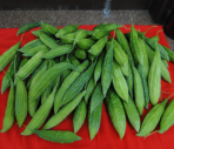 TSS 11-13% with good keeping quality; maturity 130-135 days after transplanting. Average yield is 35.0 t/ha. It is a selection from indigenous material. 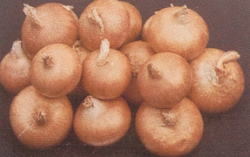 Bulbs are medium size, flattish round and red in colour. 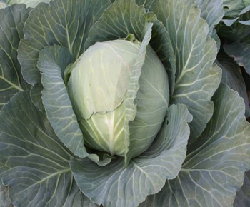 It is less pungent with TSS 12-13%, good keeping quality’ matures in 135-140 days after transplanting. Average yield is 30.0 t/ha.